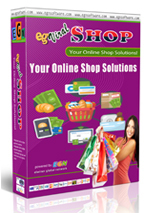 egViral Shop - Shopping cart with Network Marketing System. Price : $411.76 $329.41 (Discount 20%) Limited offer! Online shop/ Shopping cart, Sell your products online with powerful order management and also you can give your members a shopping bonus for each sale. Automatic Payment and Withdrawal for payment method that supports Instant Payment Notification. Supporting Bitcoin payments, Bank transfer and many e-currencies. Great Network Marketing Plans: Binary plan, Pairing bonus, Matching bonus, Revolving matrix, Regular matrix, Pool bonus, Reward bonus, Pass-up bonus, Sponsor bonus, Reward point, etc. Can be easily configured (enable/ disable) for each feature. Advanced Genealogy Tree, to see downlines with easy way, The best and simple way to represent the hierarchical relation of members with up lines and down lines. ePin Features: Manage ePins and sell them to your members or stockists so your members can join your program using the pins. eCoupon system. Members can purchase ecoupon from distributors and use it to fund their wallet/ account balance. Responsive Web Design for frontpage area and members area. Responsive Web Design makes your web page look good on all devices (desktops, tablets, and phones). Stockist members: You can create stockist members and publish them on your website so your visitors can find them by locations. Register downlines: Members can register new downlines and place them on any place on the matrix or on any weak legs. Instant messengers for easier communication, supporting WhatsApp, Skype, Viber, LINE, Telegram, WeChat, Hangouts, Facebook Messenger. Image Manager. Changing images on the website can be a difficult job. But in egViral Shop it becomes very easy using the Image Manager to upload your image or your company logo. Uploading images is no longer done by manually! Easy To Design. egViral Shop is working with smarty template system so it is easy to work with html codes using any standard html editor. You will be able to design easier, add more links or page without any restriction. Work with Bitcoin for payments and withdrawals using Blockchain, Coinbase and Bitpay. Subscription Membership. egViral Shop can handle of subscription period such as Daily, Weekly, Monthly or Yearly. The membership handled automatically. egViral Shop work with multiple matrix at once such as Binary matrix, Revolving matrix and Regular matrix works simultaneous. You can set the configuration of each matrix such as depth, width and the level commissions. Also can be enable or disable the matrix plan. Shopping bonus, You can give your members commission for each sale, the commission can be given to members in Matrix also for the sponsor. Ranking bonus, give reward for your members based on their achievement. You can sell anything online using the shopping cart features. Can be used for selling downloads or tangible products that need shipping, included Shipping modules/ Shipping Management. Sell goods that require shipping, working with configured shipping modules/ management. Selling downloads, You can sell any software/ files and manage them with the order management. Multiple item images, You can add multiple images for each item, so your buyer will have a clear view about the products. Specific Network Bonus, You can give bonus to your members for each product sale, and you can configure the bonus for each item or use the default bonus plan. SEO/ Search Engine Optimization for each product explained/details, so you will have a better search result on any search engine. Facebook comments for each product, You can enable/disable Facebook comments for each product. Multiple categories, You can add up to 3 levels category to easy manage large products based on the category. Manufacturer, You can add many Manufacturer to classified the product based on the Manufacturer. Configurable Shipping Modules that can be configured or edited to your needs. You can add other shipping modules if needed (php knowledge needed). Configurable Order Status, You can configure/ edit order status to suite your needs. You can add or reduce order status based on your needs. Discount products, You can create a list of discount products and show them anywhere on your website. Newest products, You can create a list of new products and show them anywhere on your website. Best sellers, You can create a list of best seller products and show them anywhere on your website.